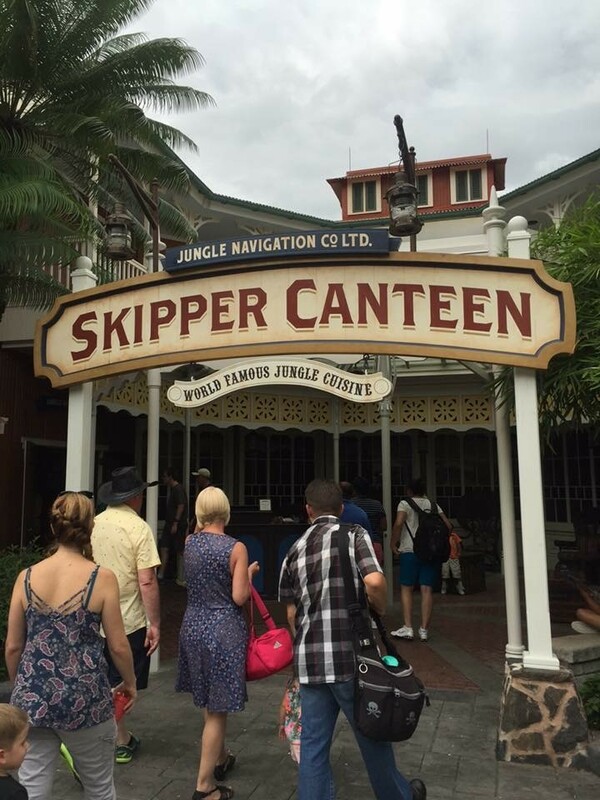 There are some theme park restaurants that are recommended as must-dos, either for their quality of food or for their amazing experience. Then, there’s restaurants that simply provide a way to grab something to eat quickly, so you can get back to having fun. 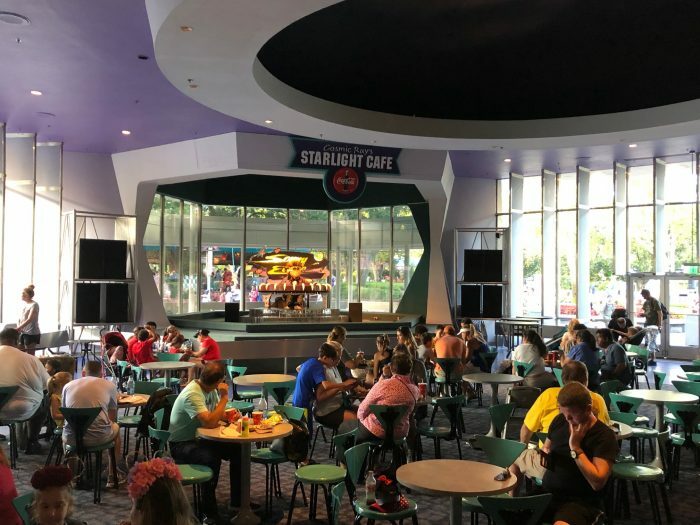 Admittedly, Cosmic Ray’s Starlight Cafe is the latter. It isn’t going to win awards, but it does provide a place to grab a quick bite with ample seating (most of which has air conditioning as well). 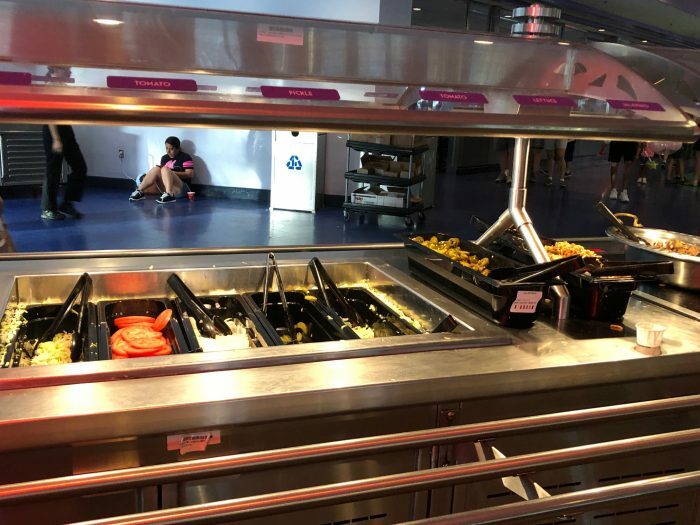 On a recent visit to Magic Kingdom, my family wasn’t all that interested in what to eat, but knew we needed to grab something, so we stopped in for dinner at Cosmic Ray’s. 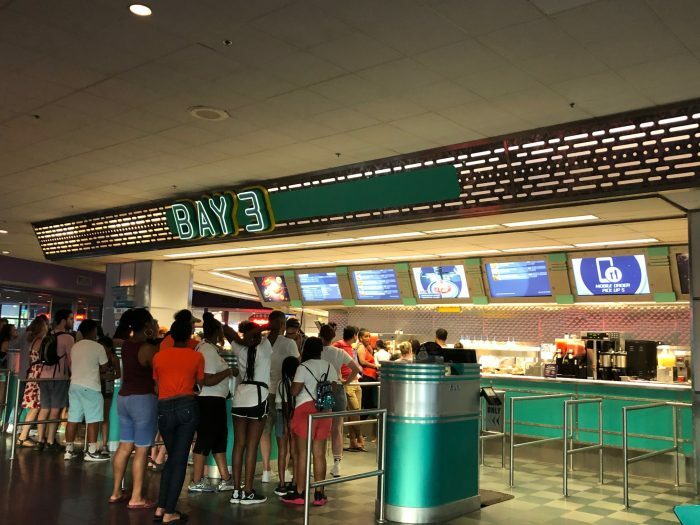 In the past, you would go to different “bays” to order your food, which meant at one time that if someone wanted a burger and another person wanted chicken, you were looking at multiple lines. All three ordering bays are still there, however the menu is the same throughout, which is a good thing as the night we visited, one of the bays was closed due to lower crowd levels. If you’re in a hurry and plan ahead, mobile ordering is also available. Once we got our food, we found a table with a beautiful view towards Cinderella Castle. For me personally, I prefer sitting outside the room for Sonny Eclipse unless I’m going there specifically because I need some of that campy experience to lighten my mood. Depending on time of day, Sonny’s room can fill up very quickly and have slower turnover of tables. 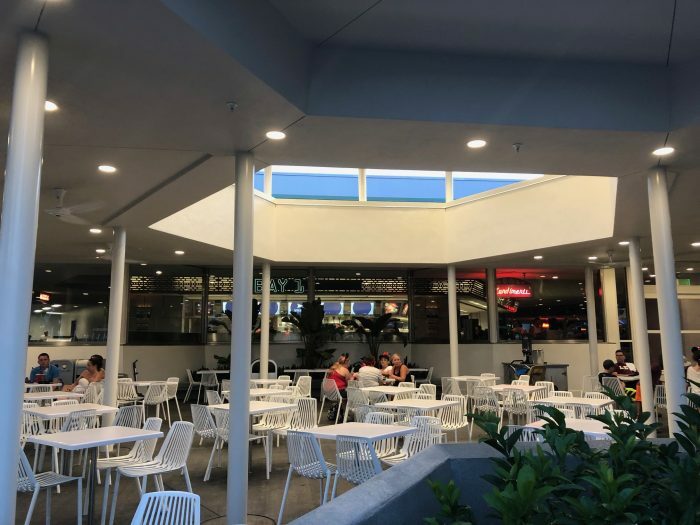 As long as it isn’t brutally hot outside, the outdoor seating also is a good option, and often seems to be relatively uncrowded for a quieter meal. Except for the die-hard Sonny Eclipse fans, the real reason you’re coming here is to get something to eat. How does the food fare? The menu consists of fairly regular foods, such as hot dogs, hamburgers, and a chicken club sandwich, along with a Greek salad (with or without chicken), and a couple heartier options, like rotisserie chicken and a pulled pork platter. My husband ordered the rotisserie chicken dinner with mashed potatoes and green beans. The portion size was good, and the chicken was cooked properly but still juicy. It came with mashed potatoes, which were actual mashed potatoes (and not instant potatoes), and green beans. I was delighted to see that the green beans weren’t covered in pepper, something Disney has been doing fairly frequently. They were just softer than al dente, no snap to them, but they weren’t soggy and squishy. Essentially, if you’ve gone to somewhere like Boston Market for a quick meal, the food was of comparable quality. The biggest complaint my husband had was that the plate was so small, it made it very difficult to eat. As I wasn’t very hungry that night, I swapped meals with my daughter, letting her eat an adult meal and having me take the kid’s meal. Naturally, my daughter went with the chicken nuggets and fries. 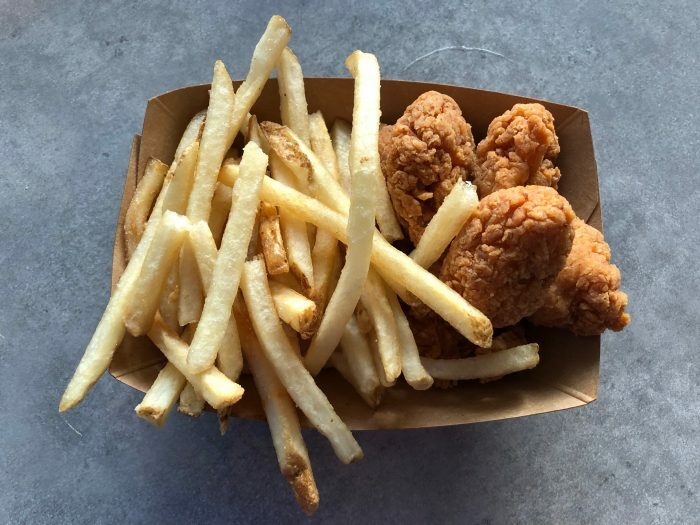 For the chicken nuggets and fries, the portion size was plenty for my eight-year-old at the six-piece size, but heartier appetites will want to go with the ten-piece size. And while the chicken nuggets and fries were your standard chicken nuggets (crunchy on the outside, juicy on the inside) and fries (wonderfully crisp but not over-cooked), Cosmic Ray’s does have one added benefit–in addition to your standard ketchup and mustard, there’s also Sriracha aioli and garlic ranch dressing available at the toppings bar to really make the fries worth every bite. 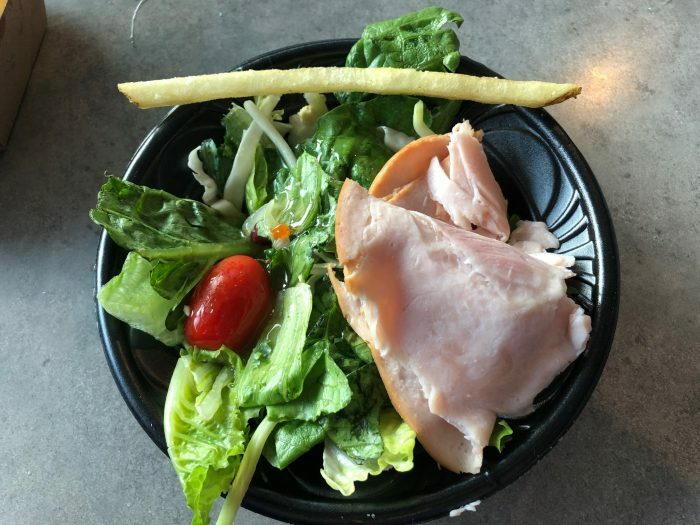 For the kid’s meal option, I went with the turkey salad, as it is unusual to see an “entree” salad offered on a kid’s menu. Essentially the turkey salad was a handful lettuce with a grape tomato and a bit of sliced turkey luncheon meat on top. There also was a slightly sweet Italian-like dressing on it. Not bad, but if you have picky eaters, you’ll probably want to ask for dressing on the side. With the choice of carrots and applesauce, and a bottle of water, it actually works out to be a healthy meal choice. That said, as you can see with a french fry (although a fairly long one) for reference, the portion size is tiny. Here’s where Cosmic Ray’s has the ability to save the day, however. Behold the glory that is the Topping Bar! The Topping Bar contains a variety of items to jazz up some of the sandwich-type of items on the menu, but also came to the rescue to bulk up this salad. On the toppings bar, you can find shredded lettuce, tomato slices, pickles, jalapenos, sauteed mushrooms, and crispy onions. Thanks to the topping bar, I made my salad into a much less healthy, but more tasty option for me. 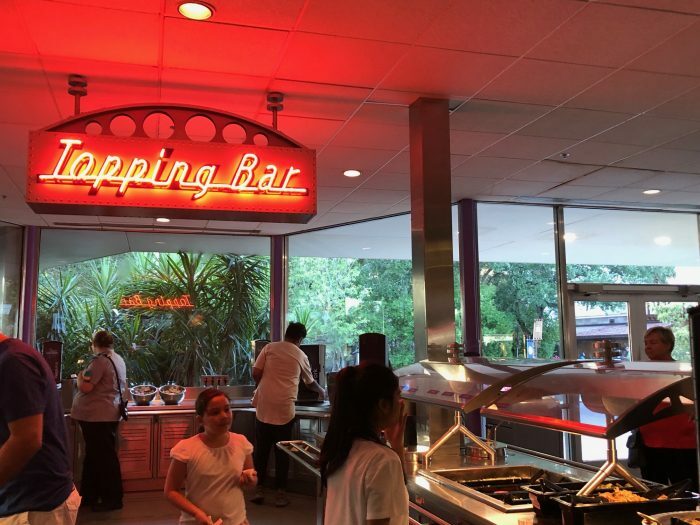 In the end, Cosmic Ray’s does what it needs to–it provides food that, while not outstanding or memorable, isn’t bad. 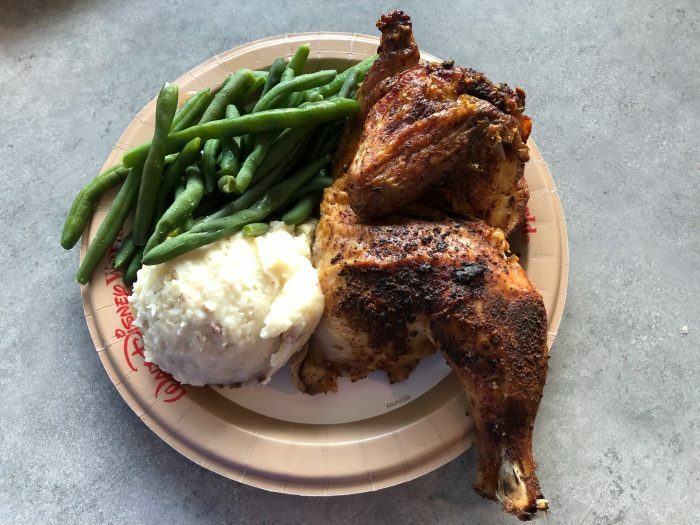 For my family, we prefer the food at Columbia Harbour House, but if you’re looking for a quick meal and find yourself on the Tomorrowland side of the park, Cosmic Ray’s does have something for everyone. Oh, and make sure to say hi to Sonny Eclipse. He certainly brings the atmosphere to this outer space eatery! 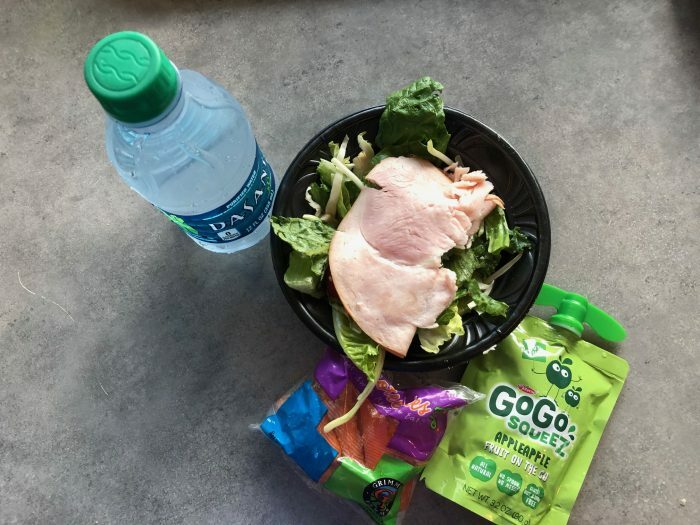 What do you think of the food at Cosmic Ray’s? Is a vacation to the Magic Kingdom made a little more special by having a burger and listening to Sonny Eclipse play a set? Let us know in the comments. Love this review, Sonny Eclipse is a classic! 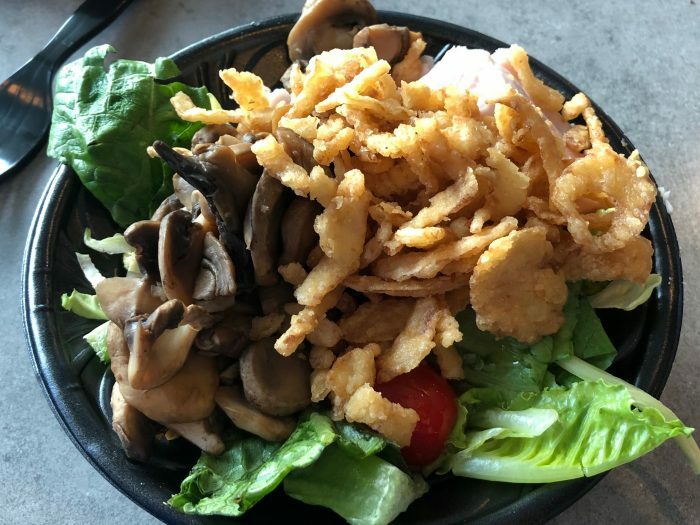 Question: how did you fit the jazzed-up salad in the same tiny bowl that it came in (or did you ask for a larger bowl when ordering)? I squished down the salad in the bowl before I went to the topping bar and then *carefully* piled everything on top. In retrospect, I should have asked for a couple extra plates (one for my husband’s chicken and one to spread out that salad)! Great review! 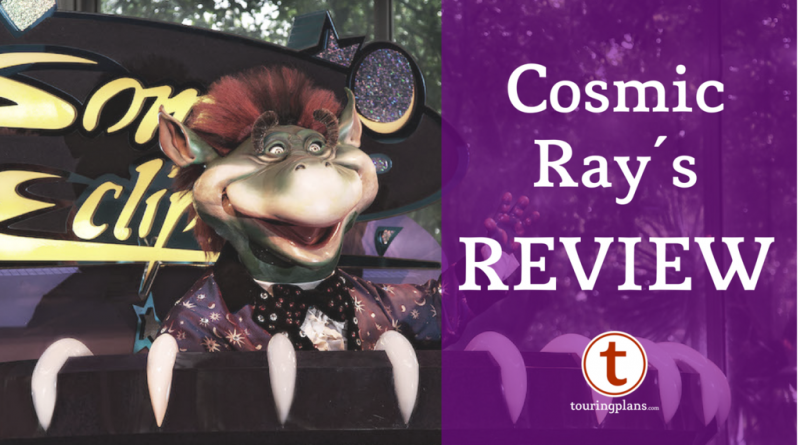 Our family has always enjoyed Cosmic Ray’s and now that ordering there is easier, it’s an even better option. The food is not top notch, but better than regular fast food. Everyone in our family can get something they like, the atmosphere is fun and the toppings bar is awesome.